The Ceiling Fan could replace or significantly support an air conditioner for a much lower cost. Unfortunately, most of the available ceiling fans are not efficient and did not earn Energy Star mark. Their air mixing capabilities could be comparable to waving a wooden plank by hand. To deal efficiently with the airflow, ceiling fan blades should have a proper airplane propeller-blade profile. Such a profile in mass production is done by an injection molding process and the performance of a ceiling fan equipped with injection molded blades is superior. 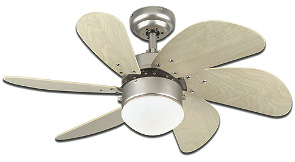 The best bet for a superior, inexpensive Energy Star efficient ceiling fan would be an industrial ceiling fan. It might be a challenge to find an aesthetically acceptable one, but any given industrial ceiling fan will be more efficient, quieter and longer living. According to rules and regulations, ceiling fans should be installed in such a way, that there will be at least an 8 foot distance between the blades and the floor. This would require at least a 9 foot ceiling in the installation room. Most of the installations we have seen would be classified as illegal, and people present in the vicinity of such installation are at risk of a serious injury. There is a limited amount of ceiling fan designs allowed to be installed lower, a 7 foot distance, between blades and the floor. It translates into at least an 8 foot ceiling in the room. Generally, a safer ceiling fan will have a smaller blade-span or slower rotations. Look for ceiling fans, with not more than a 30" blade-span and at least 6 blades. Ceiling fans have to be installed carefully, not too close to a light source in the room, to avoid a strobe effect. The Green Electrician will install you a ceiling fan with minimal damage to your ceiling. The most of today's lighting circuits could include devices like Dimmers, Timers or PIRs; limiting time or the amount of electrical energy used by the electrical circuits. If properly set up and used, they could substantially lower the amount of electrical energy used by the given circuit. Most dimmers, timers and PIRs have a minimum load of 40 Watts and do not work below it. Dimmers limit the amount of energy supplied to the light fixture. Just to make life a little bit more complicated, some of LEDs and CFLs are dimmable, and some are not. This information is usually written on the bulb or on the package. Dimmers are not created equal as well. 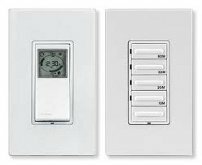 The majority of dimmers for the home market has a handling capacity of up to 600 Watts and is good for incandescent bulbs, but usually not so good for LEDs and CFLs. Since dimmers have some electronics inside, experimenting which particular design of a dimmer and the LED or CFL bulb could be costly. 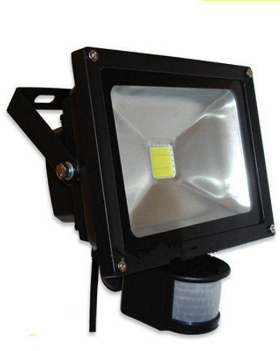 It is much safer to use a dimmer with a load handling capacity of 150 Watts or less. 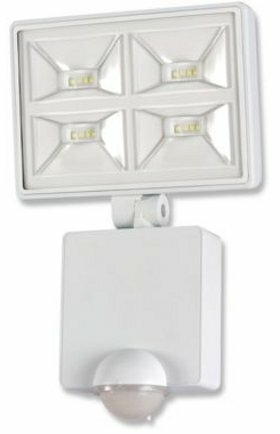 These dimmers are rare and have a limited quantity of face plate designs, but were built specially for the LEDs and CFLs. Timers turn the electrical circuit on and off. They control when the circuit is powered up and uses electrical energy. Two general groups of timers are used. The first group controls how long the circuit stays on from the moment it is turned on and goes off after the amount of time we asked for. It is usually up to 30 minutes. The second group is programmable and runs in a cycle of programmable ONs and OFFs on a daily or weekly scale. There is a wide range of timers such as semi mechanical, heavy duty, outdoor, special purpose, etc. PIR stands for Passive Infra Red. In our applications it is a switch being able to see heat source (like a person or an animal) in its view range, and turns on the electrical circuit accordingly. 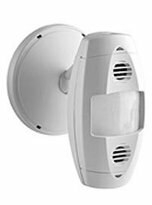 PIR sensing devices come in a wide variety of view range angles, from 45deg to over 180deg. 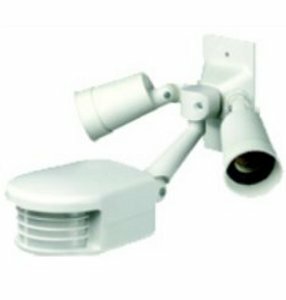 The most popular models have one sensor head and lights installed on the common fixture, and are used for the outdoor lights. The Green Electrician could build you a system of several PIR locations and several light fixtures linked by wires. If properly set up and adjusted, PIR controlled lights do not waste electrical energy and are on only when needed.